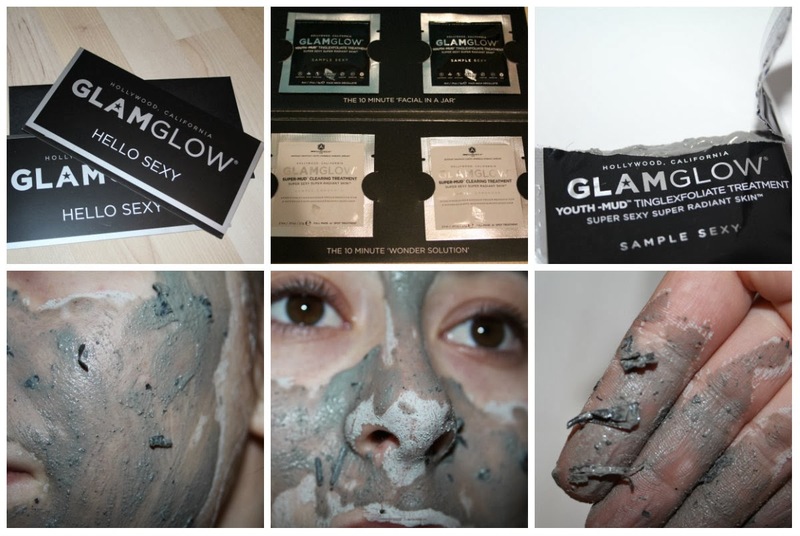 I don’t know about you, but I have heard amazing stuff about the Glamglow face masks. The word ‘Miracle’ has been thrown around a fair bit, along with ‘Amazing’, so it’s bound to get a girl interested! I love that you can order samples off the website with free delivery, as the larger product is around the £40 mark. I ordered the 'GLAMGLOW SUPER GLAMTASTIC Try Before You Buy' which is only £8. You get 2 Youth-Mud and 2 Super-Mud so that's just £2 per facemask! Bargain :] This is a great way to try something pricey out without the risk of wasting your hard earned pennies. After taking off my makeup and cleansing I tried the Youth-Mud mask for the very first time. It smelt clean but floral, and also like the seaside or beach, which is actually a lovely, soothing combination of scents. The texture of it was like any other mud or clay mask, except this felt a little sandy, and had chunks of tea leaves in it which was pretty cool. As soon as I put it on my face it started to tingle, but it was by no means uncomfortable or to the point of eye watering. (Which is what happened when I used the Queen Helene Mint Julep Masque!) As it started to dry back, I could see it pulling out all the junk clogging my pores, especially around my nose where the mask got darker. It did feel tight on the face, but again it wasn’t uncomfortable. When I came to wash it off it turned into an intense scrub, like a real rough, gritty, exfoliator. I must admit I was scared after my last exfoliating experience caused more problems than it solved, but this felt amazing! There’s absolutely no way any photograph could show how amazing my skin felt afterwards. My blemishes were reduced in texture and redness, and overall the surface of my face was so much smoother, plus crazy soft. If you use this, you will stroke your face for hours afterwards in wonder! Haha. It really is a miracle worker! This didn't leave my skin feeling dry or tight, and it got rid of some annoying dry patches from old blemishes. I'm completely bowled over by this face mask. I’m excited to try the Super-Mud mask now, and I might even order the eye mask that they do too. I strongly suggest trying the samples of this to see how great this product is for yourself. I've finally taken the step into the Tumblr world. So far, I'm very scared and confused, what is this crazy internet place with very dark corners. Hopefully I'll get the hang of it, but right now I feel very old. Like that parent who can just about text, even if it is in capitals with full stops for spaces. 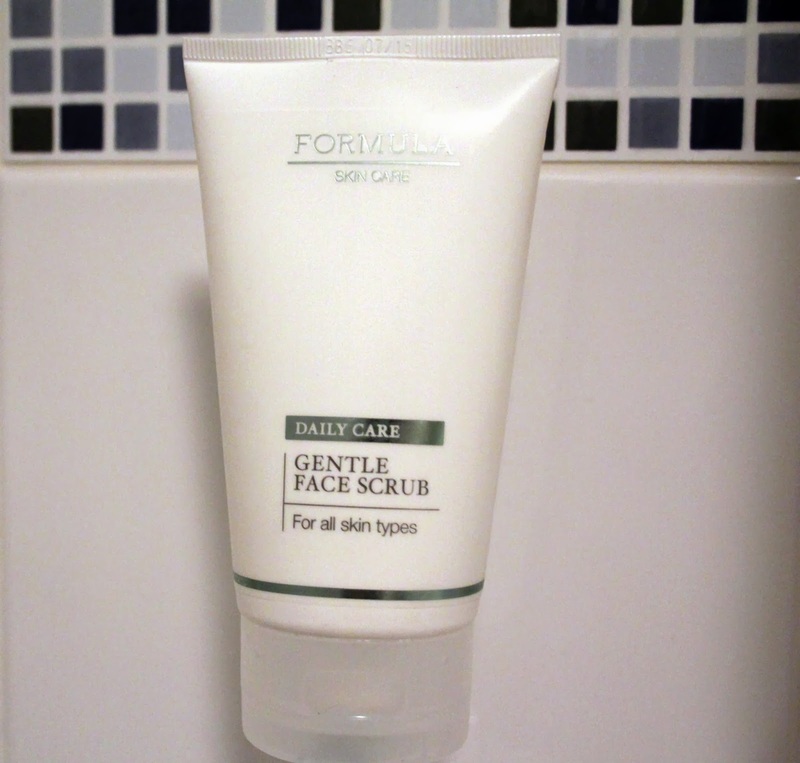 I wanted to try a scrub to ease up the marks, pigmentation, scars, blemishes, whatever you want to call them, that spots had left behind. So instead of being overwhelmed in Boots, I went to Marks & Spencer. I feel like I should be ashamed of that last sentence, but I'm not! Haha. I've tried this a few times over the last 4 months, but sadly it breaks me out and is pretty drying. Also, it didn’t help that in my eagerness to try it (like 30 minutes after purchase) I scrubbed some active spots, and spread them all over my face. Go me. If you Google Pisces star chart, that was the lovely pattern I created on my face. I know it sounds ridiculous, I’m actually an Aries. Anyway, I think if you have less sensitive skin then this would work just fine, as I read sooo many good reviews on this I wouldn't put it down. It feels great on the skin, all gritty and cleansing, like you're really getting down there and cleaning stuff out, but it just didn't work for me. On the plus side it makes an awesome body scrub! My elbows and knee have never felt so soft, and I’m surprised that I’m enjoying the fact that it’s scent free. It’s also great to use just before shaving, just make sure you rinse all the little scrubby beads off. Oh skin, why you so mad bro? This is a serious question I ask my face daily, but alas it does not answer, and so the battle continues. Moral of the story, research your products and don’t rush to use them, no matter how fun it seems! What is this...I can’t even... I have been out of high school for nearly 10 years, and it only feels like yesterday. Cray cray. You know how people are always like 'you'll miss high school when your older'...No, no I do not. Haha. It's mad it was that long ago, but I do not wish it back thank you muchly. If you’ve caught me on YouTube you might know that I love me some Macadamia Hair Oil, if not then you can read me rave about it here. It’s an awesome hair product, and one of my Holy Grail items, but dare I say it...I think I like the Matrix stuff more. This makes my hair softer than soft, like think of a tiny, baby bunny wrapped in the fluffiest towel, sitting on a puffy cloud, eating candyfloss...It’s that kind of squashy, happy softness. I put 1 little pump in while my hair is damp before blow drying, and it makes it shiny, frizz free and silky. (Oh and did I say soft?) It has a light scent, kind of nutty, but you don't notice it at all when it's on your hair. It can literally make a bad hair day look like purposeful texture, which is great, obviously. I find it slightly thinner than the Macadamia oil, and it feels like it soaks into my hair better too. Honestly, they perfom the same and there isn't much difference between the two, it's just down to personal taste. I know oils can be scary, who wants to add something like that to their hair!? I get it, however as long as you only add it to the length of your hair then it won’t make your hair look greasy, promise! What’s your favourite hair oil? So, it’s that time of (new) year again...New Year Resolution Time! I’m not a fan of this, you know how it goes, you make a pledge and it’s broken before the week is out. I’ve had this rant before, my resolution is to not make any resolutions. Yet I think I've had the wrong attitude, and so I am making a list of goals for this year. Mainly things to improve myself as a person, if that doesn’t sound too self centred. I just want to look back next year and be like, ‘Yeah! I did stuff!’ Unlike this year, when I looked back and just thought....I ate stuff...a lot of stuff, and did nothing. Haha. I’ve had this book for aggggges, and it’s just sat there withholding all the awesomeness that people say it contains. I’m intrigued to try this out. I had my Avril stage in my teens, and then when Miss Swift appeared I picked up my geetar again, and then put it back down. I see a pattern forming! This year I will learn my chords and how to play a whole song, at the very least! I always type my posts the day they go up, same with my YouTube videos, they’re usually filmed and edited on the same day! Similarly, getting ready for work in the morning, I could easily make my lunch the night before but no...I try and do it in 2 minutes that I don't actually have to spare. So I shall try to do more stuff in advance.